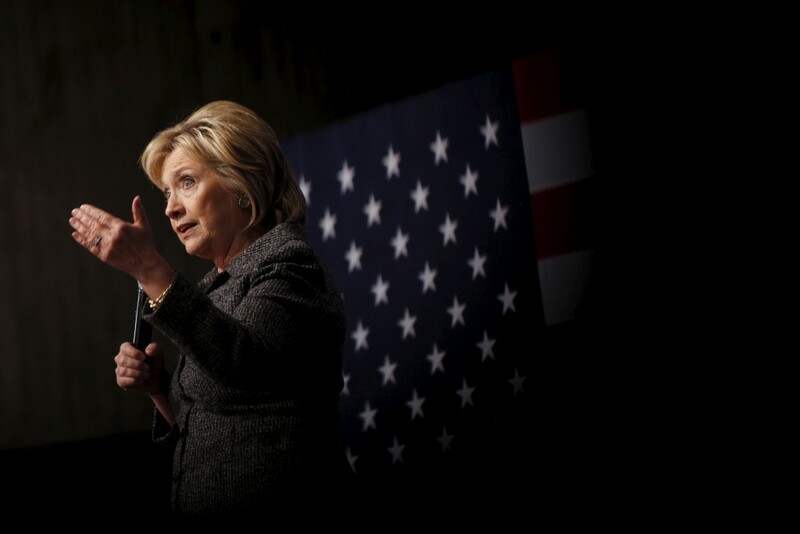 WASHINGTON — Hillary Clinton has questioned Bernie Sanders’ electability. She’s criticized his plans for health care, foreign policy and Wall Street. And she’s tagged him with flip-flopping on gun control. None of it appears to be sticking — and that’s raising concerns among Democrats who fear that a months-long primary campaign could create lasting damage for their party. While most believe Clinton will still capture the nomination, some say she is failing to respond effectively to Sanders, fueling both his primary rise and strengthening the Republican argument against her. Others say she got too a late of a start going after Sanders and is still not hitting him enough — eroding her lead in states that should be safe. Though Sanders has dismissed questions about Clinton’s use of a private email account and server as secretary of state and how she responded to the deadly 2012 Benghazi attacks, some Democrats say she needs a better response to his critique of her ties to Wall Street, which they argue reinforces months of Republican attacks on her character. 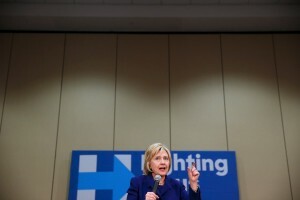 Though the tightening nature of the race, particularly in Iowa, hasn’t sparked widespread panic among her supporters quite yet, it’s worrying some donors, as well as Bill Clinton and their daughter, Chelsea, who shared her concerns at a meeting with supporters in New York this week, according to people close to the campaign, who spoke on condition of anonymity because they were not authorized to discuss private conversations. Democratic donors, strategists and pollsters, including some aligned with Clinton, expressed their concerns in nearly two dozen interviews with The Associated Press. Clinton has long struggled to connect with liberal activists, who have gained influence as the party has shifted left during President Barack Obama’s two terms in office. Clinton has long struggled to connect with liberal activists, who have gained influence as the party has shifted left during President Barack Obama’s two terms in office. “Clinton’s message has always been more effective for a general election audience than the primary activist base,” said strategist Ben LaBolt, a former Obama campaign aide. Sanders released a gauzy, uplifting ad on Thursday with images of his overflowing rallies over a soundtrack of Simon and Garfunkel’s “America.” The wordless spot contrasts with a recent Clinton ad New Hampshire that’s about her experience and plans. In recent days, Sanders has intensified his critique of Clinton with rhetoric that’s edged toward breaking one of his core campaign pledges — no attacks. “Without naming any names, Goldman Sachs also provides very, very generous speaking fees to some unnamed candidates” he said this week in Iowa, meaning her. His argument hasn’t gone unnoticed by Republicans. The Republican National Committee jumped to Sanders’ defense during the last debate, blasting out emails undercutting her. It’s all a win-win for Republicans, potentially bolstering Sanders, who they see as the less formidable general election opponent, and reinforcing negative impressions of Clinton. Clinton’s campaign released a statement accusing Sanders of following Republican cues to go after her (as much as it seems the other way around). The campaign’s communications director, Jen Palmieri, said it’s obvious that Clinton is the candidate Republicans are afraid to face. During Sanders’ rise in the summer, Clinton’s campaign avoided criticizing Sanders out of fear that would alienate his liberal supporters who will be important to the Democratic nominee this fall. That hesitancy has changed in recent weeks. Recent preference polls suggest her lead in Iowa has evaporated and in New Hampshire, Sanders has opened up a significant edge. Clinton and her team believe they can still win the Feb. 1 caucuses in Iowa, arguing that her broader support will help her pick up more delegates, due to the proportional nature of their allocation in the state. Her strategists have long seen New Hampshire as a tougher race, given Sanders’ decades of representing a neighboring state. They’ve believed the nomination would be won in South Carolina, Nevada and the Southern states that vote on March 1. The larger numbers of minority voters in the later contests benefit Clinton, who’s consistently polled better among those groups. But even in Southern states, Democrats increasingly see a path for Sanders to cobble together a coalition of liberal whites, independents and younger black supporters. And caucuses — which tend to reward liberal candidates — in March and in April in states such as Maine, Colorado and Wyoming could favor Sanders.